Chris Pine talks to The Hollywood Reporter about Star Trek Beyond‘s gay Sulu controversy in its September 16 issue. After news emerged in July that John Cho’s Sulu would be revealed as gay, George Takei, who played Mr. Sulu in the original series, called it a “really unfortunate” turn of events. Takei told The Hollywood Reporter that he had tried to convince Pegg and director Justin Lin that it was a bad idea. “I told him, ‘Be imaginative and create a character who has a history of being gay, rather than Sulu, who had been straight all this time, suddenly being revealed as being closeted,” said Takei. Takei’s statements caused immediate reaction from screenwriter Simon Pegg, who also plays Scotty, who said he “respectfully disagreed” with Takei, and Zachary Quinto, who plays Spock, who said he was “disappointed” by Takei’s reaction. Pegg expressed sympathy with Takei’s sentiment that mainstream gay heroes were belatedly coming to the big screen, but rejected the idea that this meant a new character needed creating. Good morning from Montana! I’ve been here relaxing on vacation, but have noticed that many of you have been following the “gay Sulu” story and wanted to know why I’m being such a sourpuss. I’m writing to set the record “straight,” if you will. When the news first broke, I gave a lengthy telephone interview, but the headlines have been misleading. Apparently, controversy makes for better sales! 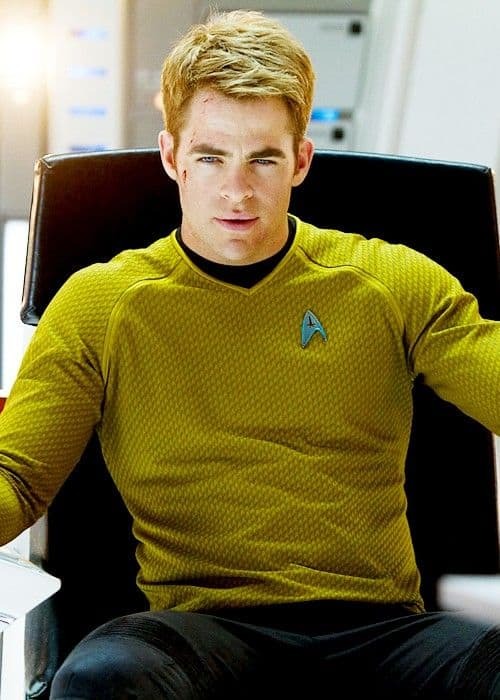 Let me be clear: I am not disappointed that there is a gay character in Star Trek. On the contrary, as I made clear, I am delighted that the Star Trek franchise has addressed this issue, which is truly one of diversity. It is thrilling to know that future generations will not see LGBTs go wholly unrepresented in the Trek universe. On the specific question of Sulu being gay, when I was first approached with the concept, I responded that I hoped instead that Gene Roddenberry’s original characters and their backgrounds would be respected. How exciting it would be instead if a new hero might be created, whose story could be fleshed out from scratch, rather than reinvented. To me, this would have been even more impactful. While I understand that we are in an alternate timeline with the new Trek movies, for me it seemed less than necessary to tinker with an existing character in order to fulfill Gene’s hope of a truly diverse Trek universe. And while I am flattered that the character of Sulu apparently was selected as an homage to me, this was never about me or what I wanted. It was about being true to Gene’s vision and storytelling. Gene had wanted long ago to include LGBT characters, and we spoke personally and specifically about the lack of them. Gene understandably felt constrained by the sensitivities of the time. Some fifty years ago, even TV’s first interracial kiss, between Kirk and Uhura, caused our ratings to plummet as the show was censored across much of the South for that scene. Gene made a conscious decision to make the main characters heterosexual, and worked within those parameters to tell incredible stories that still challenged many cultural values of the time. So the lack of gay characters was not some oversight by him; it was a conscious decision with which he grappled. I loved Gene as a friend, and I respected his decision and the context under which he created these stories. On this 50th year anniversary of Star Trek, my hope was to honor his foresight and bravery, as well as his ability to create discussion and diversity despite these constraints. But Star Trek has always pushed the boundaries and opened new opportunities for actors, including myself. I am eternally grateful to have been part of this incredible and continuing family. I wish John Cho well in the role I once played, and congratulate Simon Pegg on his daring and groundbreaking storytelling. While I would have gone with the development of a new character in this instance, I do fully understand and appreciate what they are doing—as ever, boldly going where no one has gone before. Star Trek will live long and prosper.